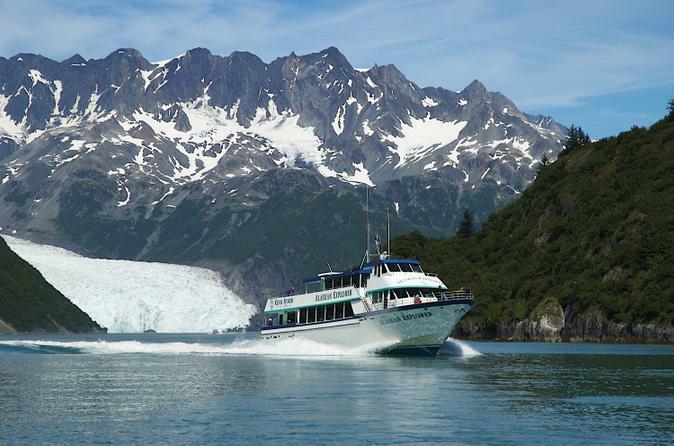 Hop aboard one of Alaska’s most popular wildlife and glacier cruises, and take an extraordinary six-hour journey through Kenai Fjords National Park. 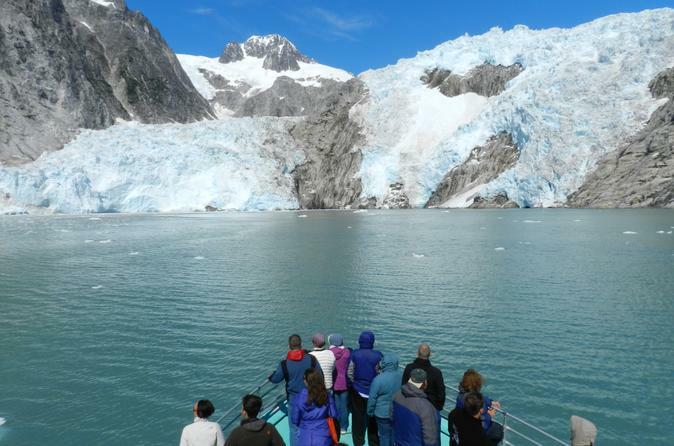 This must-do tour from Seward offers the chance to view whales, birds and other wildlife as you cruise past alpine and tidewater glaciers among the fjords. You’ll visit seabird rookeries in the Alaska Maritime National Wildlife Refuge and enjoy lunch as you listen to onboard commentary from the captain! 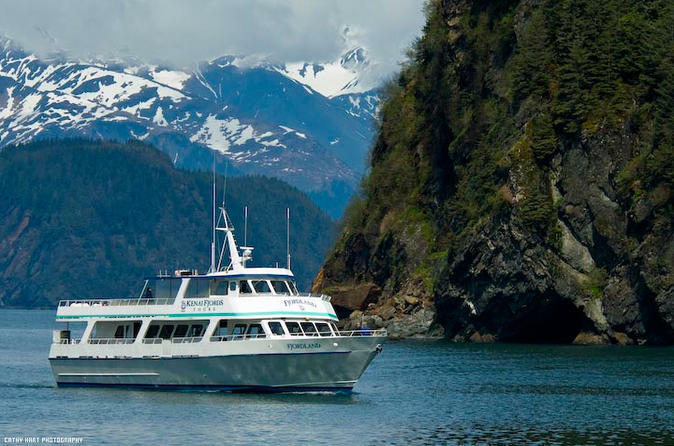 The 5-hour Kenai Fjords wildlife cruise ventures 55 miles round-trip and discovers wildlife found in and around the pristine waters of Resurrection Bay. A National Park Ranger will be onboard to narrate your cruise as you experience wildlife and visit massive bird rookeries and sea lion colonies, stopping along the route to view passing whales and otters. Enhance your cruising experience with the purchase of our all-you-can-eat Alaska salmon and prime rib buffet, served onboard while you cruise. 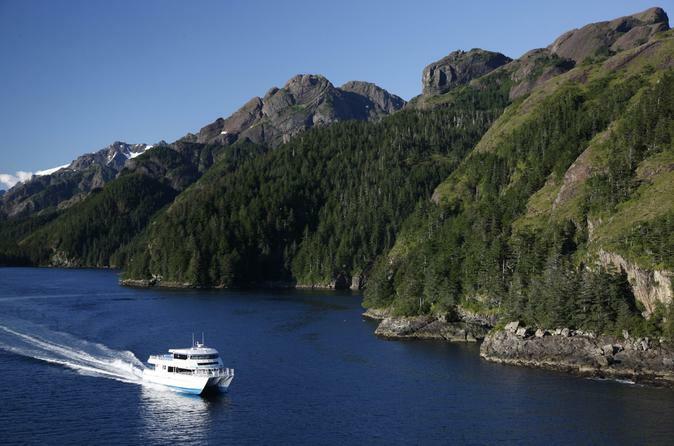 Take the family out for an all-you-can-eat dinner buffet on this scenic cruise from Seward to Fox Island. As you cruise along the picturesque shores of Resurrection Bay, watch for whales, otters, puffins and sea lions while learning about Alaska’s native wildlife from your guide. 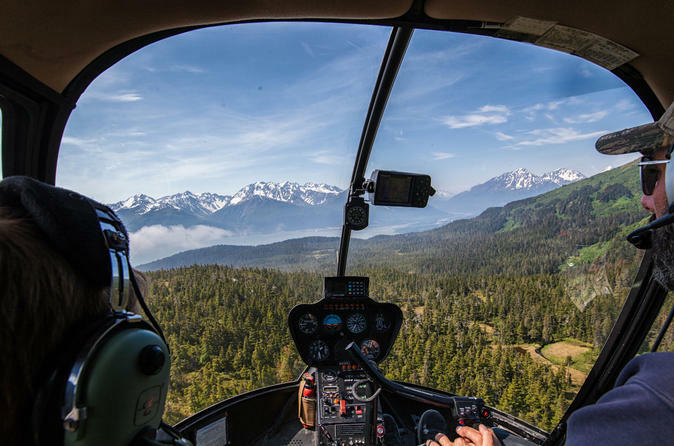 Indulge in a scrumptious buffet dinner of wild Alaska salmon and prime rib at a private lodge on Fox Island before your breathtaking ride back to Seward. 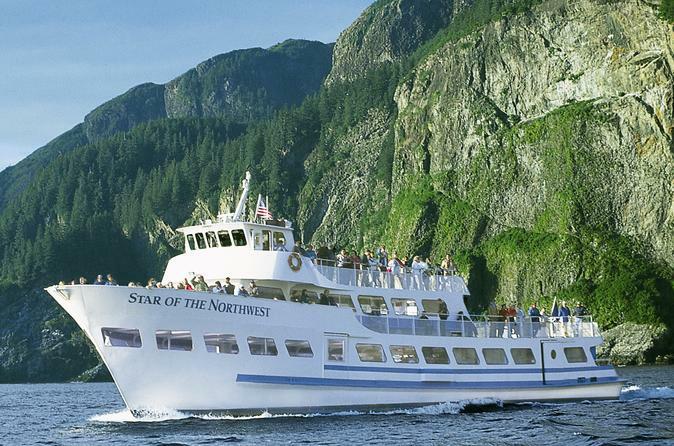 This 6-hour cruise explores Kenai Fjords National Park and the Chiswell Islands, part of the Alaska Maritime National Wildlife Refuge. A National Park Ranger is on board to narrate your cruise and point out wildlife such as whales, sea otters, sea lions, puffins, and more. You will stop at the mighty Holgate Glacier and float among the icebergs as you watch for calving, which is when giant chunks of ice break off and crash into the ocean. Enhance your cruise with the purchase of an all-you-can-eat Alaska salmon and prime rib buffet. Massive blue glaciers, narrow fjords and abundant marine life are just some of the reasons that Kenai Fjords National Park is at the top of many outdoor enthusiasts’ bucket lists. Cruise through the fjords while learning about the region’s fascinating natural history on this 9-hour trip. 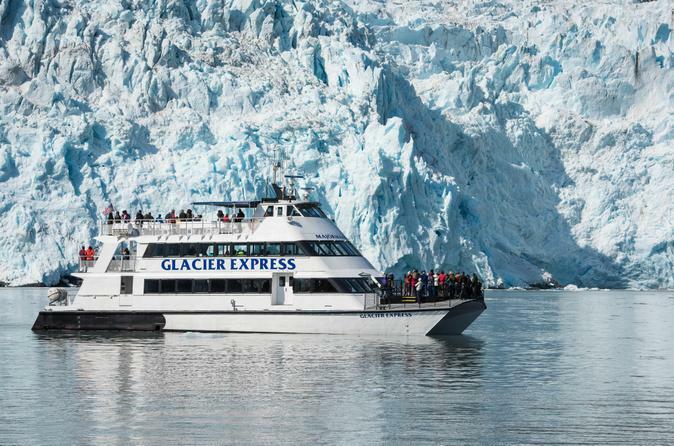 Floating through Alaska’s pristine waters is the best way to see this stunning national park, and this is the only daily tour that visits the magnificent Northwestern Fjord, home to three amazing tidewater glaciers and numerous alpine glaciers. Soak up the serene beauty of the Alaskan wilderness on this 4.5-hour cruise across Resurrection Bay. Glide past majestic mountains, craggy cliffs and mammoth glaciers as your cruise boat cuts through the open waters. With the help of an expert wildlife guide, look out for whales, sea lions and other native wildlife. Then, indulge in Alaskan salmon, prime rib and other treats at an all-you-can-eat buffet lunch on Fox Island. End your tour with free time at a pebble beach, where you can skip stones and revel in the out-of-this-world scenery. 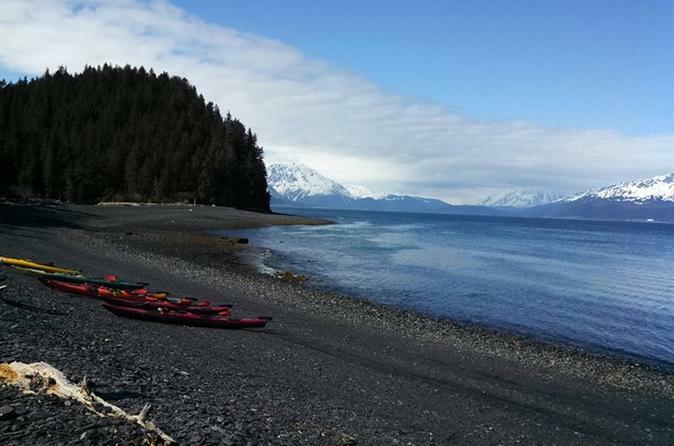 This morning kayak trip departs Seward and heads along Resurrection Bay to Tonsina Point. As you paddle along the coast behind a guide, admire the scenery and watch for wildlife such as birds, otters, eagles, sea lions and more. This trip is a great option for those that have limited time but want to experience the beauty of Resurrection Bay. 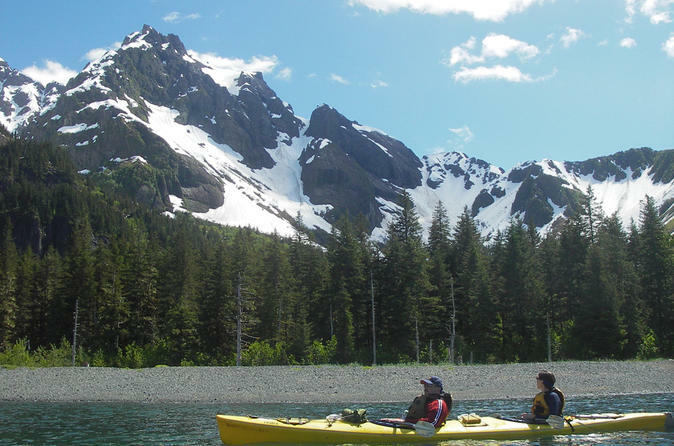 Join this 7.5-hour kayaking adventure from Seward with a small-group of no more than 12. Kayak along the coast of Resurrection Bay before hiking to a hidden waterfall. Take an optional hike up to an abandoned WWII fort and enjoy a delicious country-style lunch in the middle of this incredible tour. 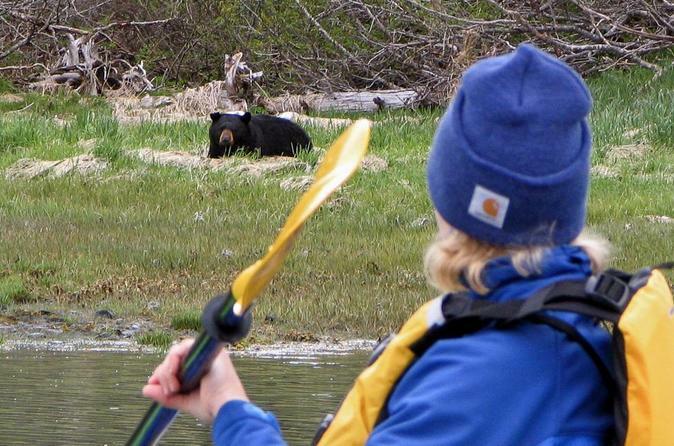 This full-day kayak tour departs Seward and heads along Resurrection Bay to Caine's Head. Watch for wildlife such as birds, otters, eagles and sea lions as you paddle along the coast behind a guide, and dock at Caine's Head to have lunch and hike up to Fort McGilvray, offering a beautiful view of Cape Resurrection. Lunch, snacks, hot drinks, and hotel pickup and drop-off are provided on this adventure. Experience a top of the line fishing package at an affordable rate! You'll be fishing on a 43 foot vessel known as the Arctic Endeavor, with top of the line equipment and tackle. Fish one of the most popular spots for Salmon, Rockfish, Ling Cod, and Halibut in the world this season and know that you're in good hands with our knowledgable and certified captains! An extended, helicopter assisted glacier hike in a secluded alpine environment for a truly unique glacial exploration tour. 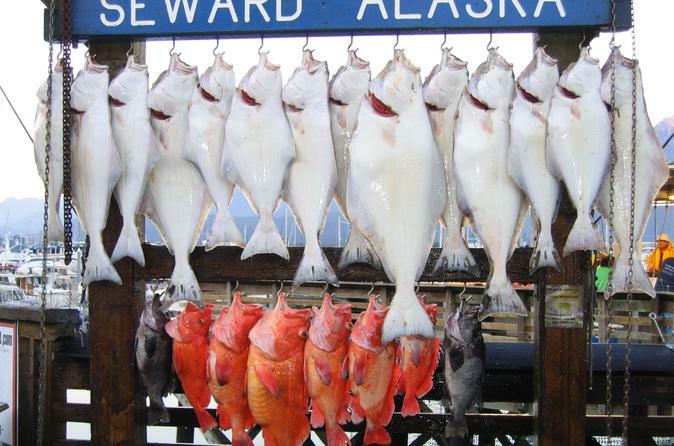 Enjoy the best that Seward Alaska has to offer in the outdoors. 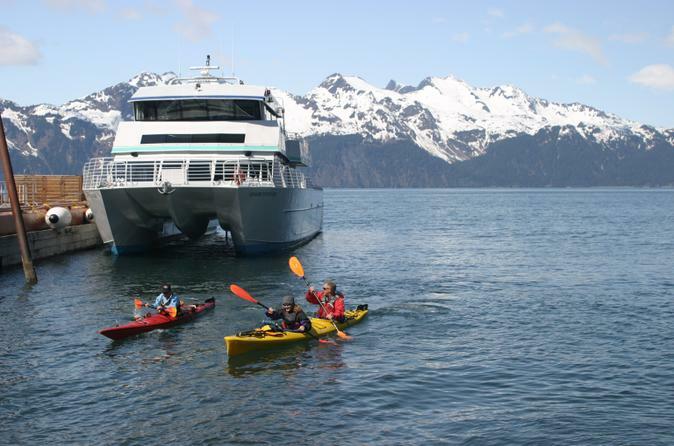 This full-day sightseeing kayak and cruise combination tour offers a spectacular way to see Alaska’s Fox Island and Resurrection Bay. Starting in Seward, travel by boat to the lush seaside cliffs of Fox Island, where you’ll meet your informative guides. Suit up for a scenic morning kayak paddle along the stunning coastline, watching for seals, puffins and glaciers. Enjoy a gourmet lunch at the exclusive Fox Island Day Lodge, then board a boat to see Resurrection Bay’s captivating sights from the comfort of an observation deck. The fun-filled day includes hotel pickup and drop-off and is geared to the moderate to active traveler. Gold pan near a salmon stream in Seward. 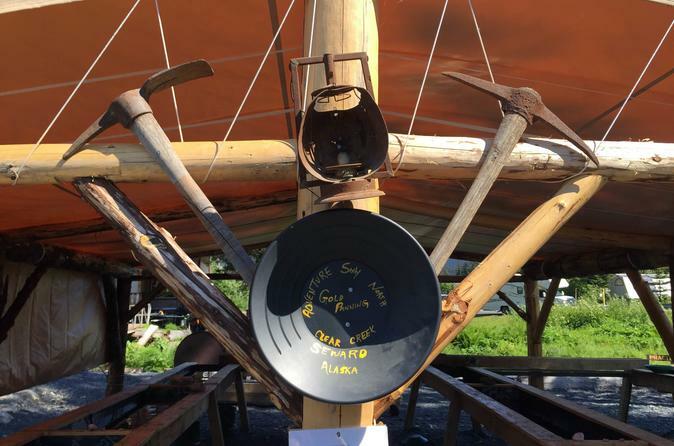 Learn the art of panning for Alaskan gold in the elevated troughs. This 1-hour activity is family friendly.